Love knows no bounds, and according to Show Me Your Mumu co-founders Cammy Miller and Cologne Trude, it shouldn’t know any size constraints either. The pair, who founded the company with the “carefree adventurer” in mind, recently released a number of size-inclusive options that are expanding the bridal lexicon. The creative pair’s expansion starts with their bestselling bridesmaid styles in the most popular colors, with aims of eventually touching upon all of their dresses and products. 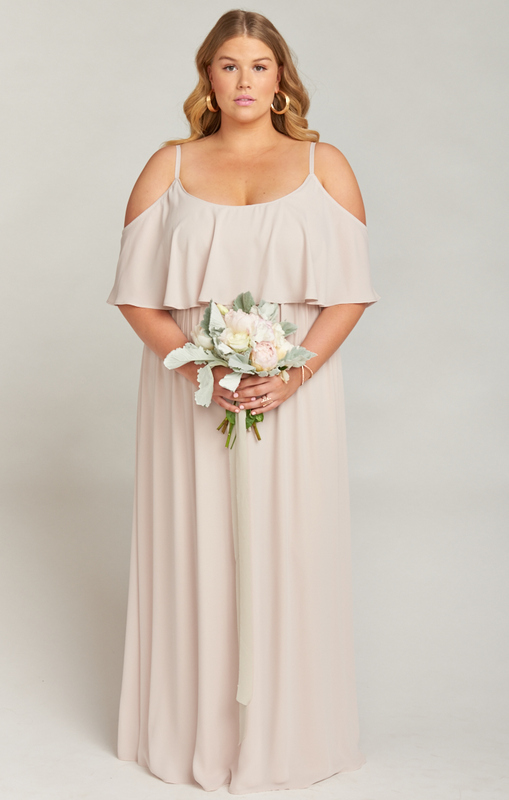 At present, some of their most popular bridesmaids styles remain their very first pieces: the Classic Caitlin Maxi, the Michelle Flutter Sleeve, the off-the-shoulder ruffle Hacienda Dress, and the newer Noelle Wrap Dress. (The Emily Maxi is especially great for pregnant bridesmaids, Miller and Cologne note). Bridesmaid dresses generally range from $164 to $218, though a few more luxe styles with novelty lace or sparkle are slightly pricer, hitting the $200 to $300 range. 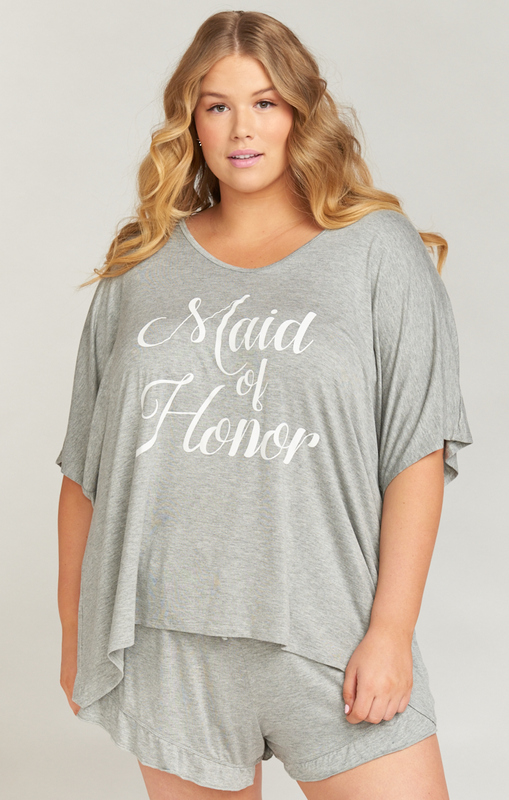 As for bridesmaid gifts, Show Me Your Mumu also has you covered. The brand has an entire line of bridesmaid PJ sets and bridesmaid slippers that can make great gifts for the bride’s closest female friends and family. Mumu also offers some jewelry options for brides hoping to give their bridesmaids a little bit of bling for the big day and beyond. Be the first to comment on "Show Me Your Mumu Reveals New Size-Inclusive Options for All Bridesmaids"